Photography by Matthew Owen. Used by permission from Annie's Publishing. Finally I can now show you "Box Garden"! 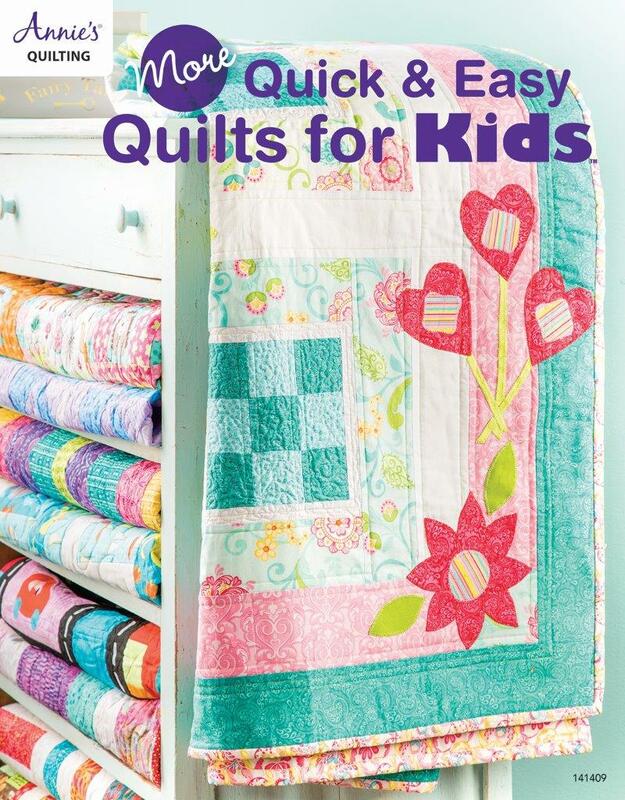 I worked on this quilt in the summer and Annie's Publishing just released their book - More Quick and Easy Quilts for Kids - featuring it. 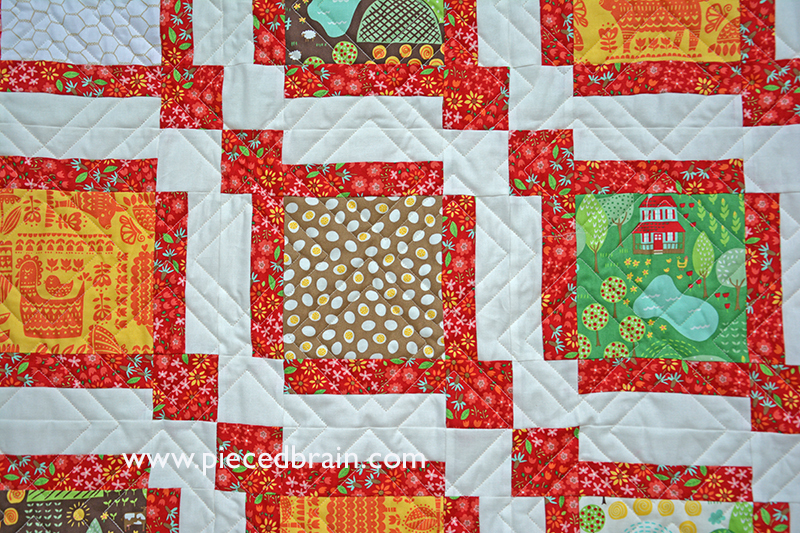 As my other quilt which appeared in the same book, Box Garden uses one block so it comes together very fast. 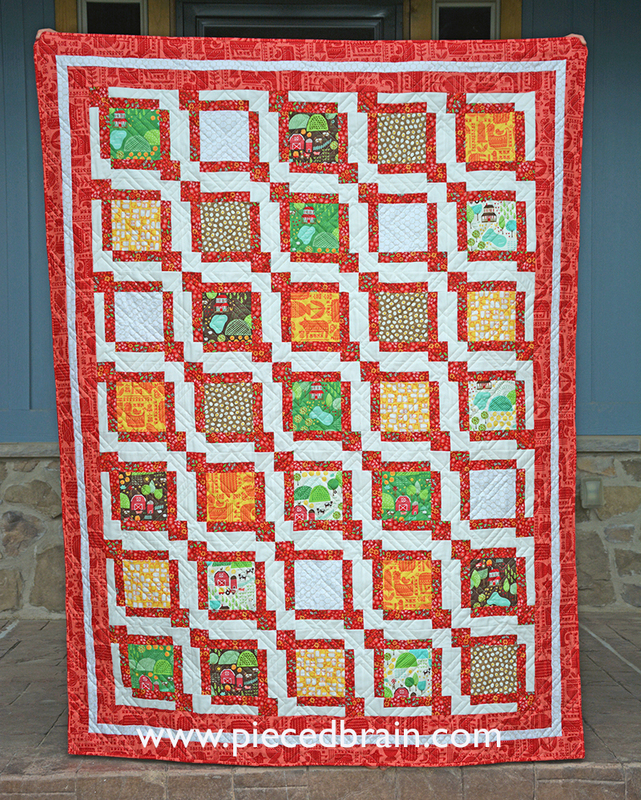 The fabric collection shown here is called Farm Fun by Stacy Iest Hsu for Moda Fabrics. I love its charming designs with farm-themed prints: chickens, pigs, eggs, barns, farm landscape... This block is perfect for featuring novelty or other prints you just can't bear to cut through. 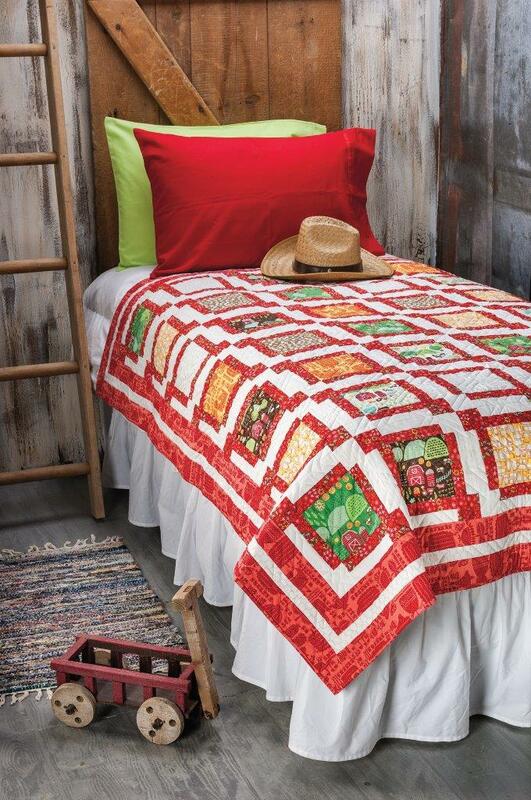 Notice the quilting motif. I was fortunate to have Melissa Kelly from Sew Shabby Quilting quilt it for me. The motif she chose is perfect, adding texture while complementing the quilt design. Box Garden is a great design for florals, too, don't you think? In fact, that was my original idea until I saw the Farm Fun collection. 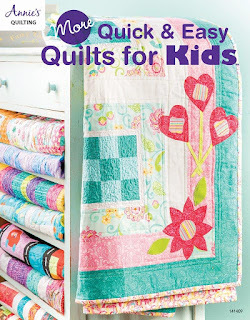 The pattern is on page 34 of this book, which also showcases other beautiful and equally quick-to-make quilts. It is nice to have fast and easy quilt patterns so we can whip up a quilt in no time at all when we want to give someone a handmade gift. Yeah, I am thinking Christmas time, too. Speaking of Christmas, I hope you are just about done with the preparations and are getting ready to have a wonderful time with family and friends. Merry Christmas! It's a great design for showing off the big prints or special fabric.